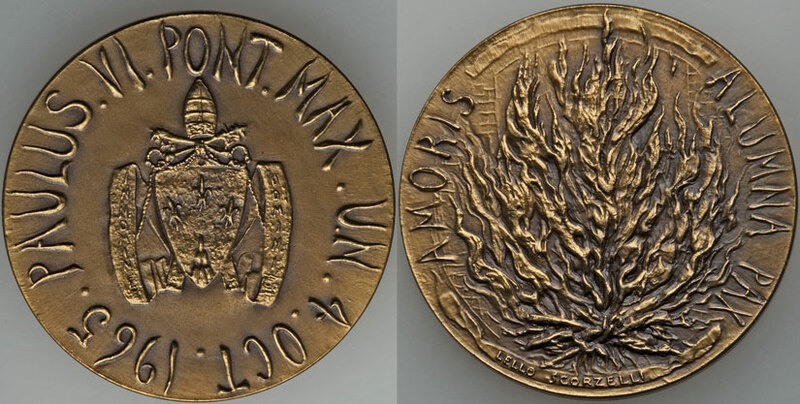 Official bronze 1965 Extraordinary Medal in memory of Pope Paul VI's participation before the United Nations General Assembly, October 4, 1965. Obverse: the Pope's coat-of-arms surmounted by intersected keys and tiara. Reverse: burning bush with legend ALUMNA PAX (Peace disciple of love). Includes original plush case.